Baixe agora mesmo e tenha em seu celular todos os louvores da Harpa e o Livro da Bíblia Sagrada Atualizada em sua versão feminina para Mulher, tudo isso em um só aplicativo, leve, prático, totalmente offline e gratuito, além de reflexões diárias, versículos para compartilhar e Rádio Gospel Online! Tenha agora todo o conteúdo da Harpa e da Bíblia. Ao todo são 640 Hinos da Harpa Cristã, que é o hinário da Igreja Assembleia de Deus no Brasil. Neste aplicativo você poderá escolher seus hinos favoritos, compartilhar as letras dos hinos e buscar hinos de maneira eficiente pelo nome ou pelo número. A Bíblia da Mulher em Português Atualizada e Gratuita JFA, foi feita especialmente para você Homem e Mulher Cristã antenados com as tecnologias que nos aproximam de Deus. Com navegação entre os capítulos prática e leitura objetiva e atualizada, de fácil compreensão, é uma valiosa ferramenta para o estudo bíblico e leitura devocional, oferecendo entendimento espiritual para se aplicar a Palavra de Deus em seu dia a dia. Ideal para os cristãos, sejam evangélicos ou católicos e que tenham esse desejo de aprofundar verdadeiramente nos estudos da palavra sagrada do Senhor nosso Deus e nos ensinamentos e o exemplo que Jesus deixou, além de tudo com isso você poderá estar mais próximo com Deus, lendo versículos aleatórios e podendo compartilha-los com seus contatos no WhatsApp..
Tenha em mãos este Livro Sagrado da Bíblia em Português Almeida, João Ferreira de Almeida para seus estudos Bíblicos! 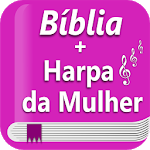 Download now and get on your phone all the praises of the Harp and the Book of the Holy Bible Version in its female version Women, all in one application, lightweight, practical, completely offline and free, and daily reflections, verses to share and Radio Gospel Online! Now have the entire contents of the Harp and the Bible. Altogether there are 640 Hymns of Christian Harp, which is the hymnbook of the Church Assembly of God in Brazil. In this application you can choose your favorite songs, share the lyrics of hymns and anthems seek efficiently by name or number. 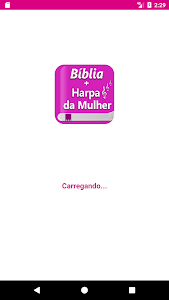 The Bible Women in Portuguese Updated and Free JFA, was made especially for you man and Christian woman attuned to the technologies that bring us closer to God. With navigation between chapters practical and objective and updated read, easy to understand, it is a valuable tool for Bible study and devotional reading, offering spiritual understanding to apply the Word of God in their daily lives. Please have a beautiful version of the Bible Book Holy King James (Bible JFA), it is entirely practical, lightweight, offline and free! The Old Testament has 46 books (39 books in the version used by Protestants) and constitutes the first major part of the Christian Bible. The New Testament books that make up this second part of the Bible were written as Christianity was widespread in the ancient world, reflecting and serving as a source for Christian theology. This collection of 27 books influenced not only religion, politics and philosophy, but also left a permanent mark on literature, art and music. When we speak of the Bible, we speak of a collection of books. The Bible is a collection of sacred writings, which came to us through centuries by the Jewish people and the zealous Christians. The Bible is God's revelation to humanity is the will of God written, containing what the Lord requires of man, that man must be and do to get to the Creator. The Bible is the holy book of Christians. Muslims have the Koran (and Hadith), and Christians have the Bible. The word 'bible' is derived from the Greek word 'bible' which means 'books', and Christians have been known as the 'people of the book'. The Bible is not just a book but a collection of many books of many prophets. It contains the Law of Moses (Torah), the Psalms of David (Zabur), the Wisdom of Solomon, the books of the prophets Isaiah, Jeremiah, Ezekiel, Daniel, Hosea, Joel, Amos, Obadiah, Jonah, Micah, Nahum, Habakkuk , Zephaniah, Haggai, Zechariah, Malachi and others. Contains the Gospel (Injil) of Jesus recorded by Matthew, Mark, Luke and John, and the writings of the Apostles of Jesus. The Bible is a collection of writings of the prophets of the time of Moses to Jesus and his apostles. With this app you will be able to read the Bible even when no internet (offline) totally free, is small and very light and fast, will not take up the memory of your phone. Ideal for Christians are evangelicals or Catholics and have this desire to truly delve into the sacred word studies of the Lord our God and the teachings and the example that Jesus set, and everything with it you can be closer to God, reading random verses and can share them with your contacts on WhatsApp .. 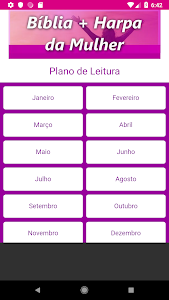 Please have this Bible Holy Book in Portuguese Almeida, João Ferreira de Almeida for your Bible studies! We can bring the Word of God in our hearts and everywhere Evangelization. Similar to "Bíblia e Harpa da Mulher JFA Gratuita e Offline"